The printed Circuit Boards M0700 are developed for universal PC boards, Relay PC boards and Positive Output PC Board. They fit to M1000, M2000 and M2100. On the rear of M1000, M2000 and M2100 controllers a general useable auxiliary PC board can be connected for easy soldering of resistors and diodes to be used on both inputs and outputs. 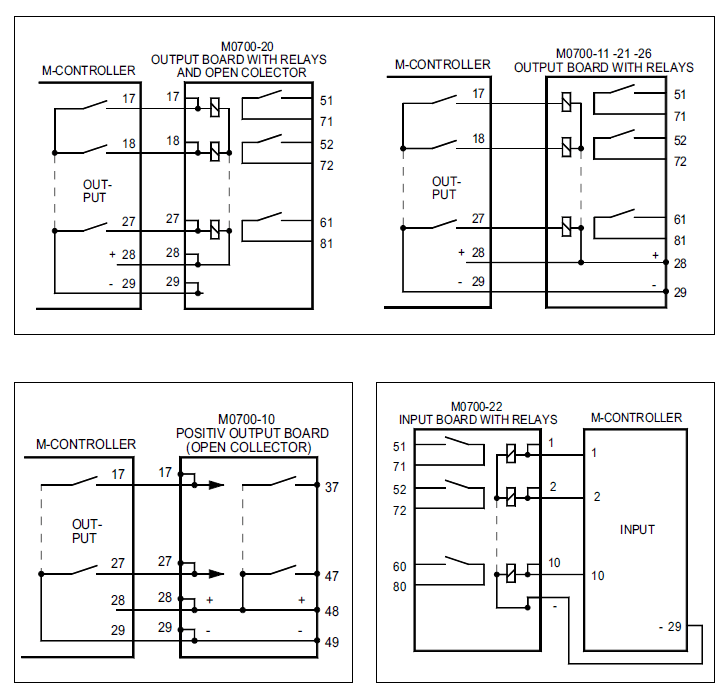 On the rear of M1000, M2000 and M2100 controllers a relay PC-Board can be mounted, which gives galvanic isolation between the controller and one external relay contact per channel. For channel 1 a contact is available between terminals 51 and 71, channel 2 on 52 and 72 etc. On the rear of M1000, M2000 and M2100 controllers an auxiliary PC board M0700-10 can be connected. 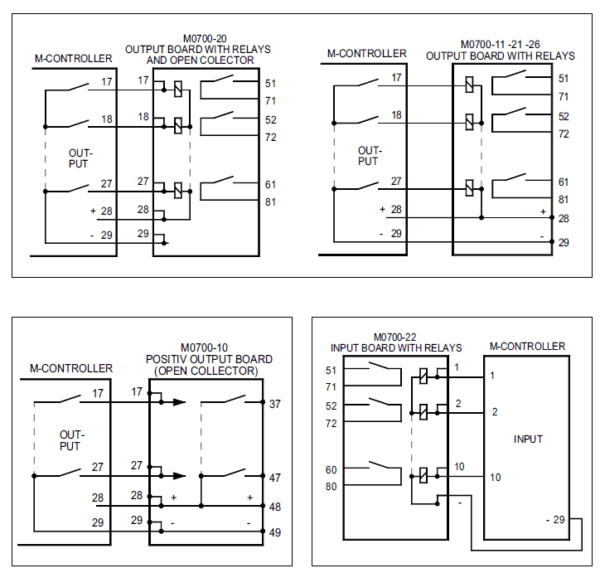 When mounted on the controllers output terminals, it changes the output from negative going to positive going. Max. 80V, max. 0.1A.